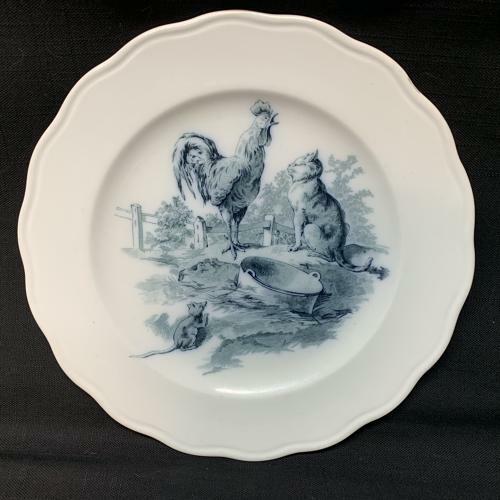 This is a superb and quite scare transferware plate registered around 1880. The plate measures 9 1/4 " in diameter. The plate is finely potted. The decoration is based on a woodcut etching from the highly coveted Nature series made by Brown Westhead and Moore, most commonly found on architectural tiles. It is decorated in a dark blue mulberry. The central image features the dilemma between the Cat and the crowing Rooster.